Masqueradology - Delou Africa, Inc. Exploring the Art & History of Masqueradology throughout the African Diaspora. The art and history of mask making: An interactive workshop and performance series for children and adults. This program will serve as a cultural and communal journey of transformation through geographical and cultural awareness for our diverse community to experience and enjoy. 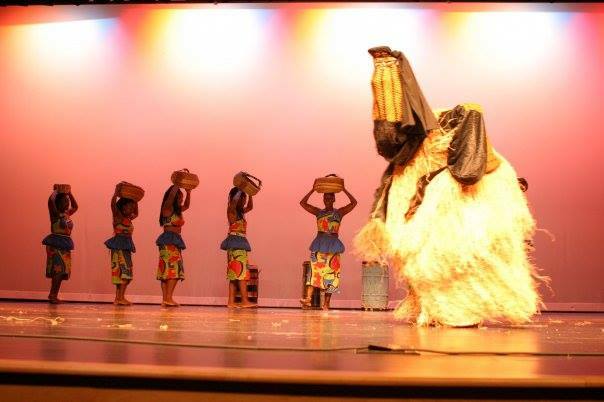 Designers, artists and historians will teach participants the art of authentic costume making focusing on mask traditions of Africa, the Caribbean and America depicted through folklore, dance, drum, steelpan, music and stilt walking. Participants will also learn the history and ethics of Caribbean Carnival and experience its festive nature through fantasy and storytelling. Participants will showcase and exhibit their creations, craft and talent at cultural, social and civic venues. 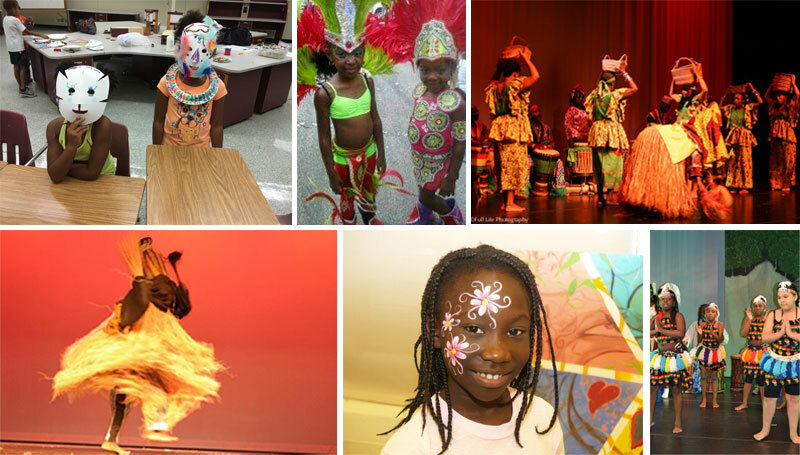 Throughout the African Diaspora carnival masquerade is portrayed as a language of global and cultural expression. Masqueradology will implement projects to further explore and discover the evolution and journey of various mask forms. Face mask – are the most common mask type. They are used throughout Africa. Headdress masks – are actually set on a base which sits on top of the wearers head. The Bambara (Bamana), who are the largest ethnic group in Mali, are famous for this type of mask. Shoulder masks – are usually large and heavy and rest on the wearer’s shoulders. Helmet masks – fit over the wearer’s entire head and are usually carved from a section of tree trunk. Helmet crests – Unlike the helmet masks these masks do not fit over the wearer’s entire head but rather is worn like a hat, leaving the face exposed. Cap crests (forehead masks) – This type of mask is worn on the forehead leaving the wearer’s face exposed. Native American masks are an important part of the Native American culture. They are used during ceremonies, given as gifts, and each one is hand crafted. They have a special charm that comes from the significance behind the art; the significance of the Native American way of life. Native American masks are usually created in the likeness of an animal. These animals represents certain Native American ideas such as spirits, status, and characteristics. In addition, some Native Americans believe that each clan was descended from a different animal. In addition to creating Native American masks with animal characteristics, they also created portrait masks. These masks were modeled after a certain person. This type of mask would depict the status of the person who the mask was modeled after. There are three different types of Native American masks. One is a single face mask which is just a simple mask. Then there is a mechanical mask that can contain moving parts. For example, this can be eyes that open and close. The last type is a transformation mask. This is more like two or more masks in one. The outer mask opens up to reveal another mask. The second mask may open up to reveal a third and so on. Native American masks are constructed out of the materials they had on hand. This means many of the masks were made out of wood. Paint would be formed out of materials that were readily available. Also, items such as feathers, hair, straw and other elements may be added for further decoration. Today Native American masks have developed their own market following. These pieces of Native American culture are collected by art lovers all over the world. Each mask is unique and carries its own charm. The Carnivals in the Caribbean have several common themes, many originating from Trinidad and Tobago, which are based on folklore, culture, religion, and tradition. Trinidad and Tobago Carnival is an annual event held on the Monday and Tuesday before Ash Wednesday. 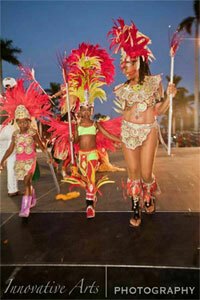 The event is well known for exuberant celebrations and carnival costumes. Carnival tradition is based on a number of disciplines including: “Playing Mas”/masquerade; Moko Jumbie (stilt walker); Panorama (steel band competition); J’ouvert morning; Stick-Fighting; Limbo competitions and Calypso/Soca Monarch. Traditionally, the festival is associated with calypso music; however, recently Soca music has replaced calypso as the most celebrated type of music. Carnival as it is celebrated in Trinidad and Tobago is also celebrated in cities worldwide. These including Toronto’s Caribana, Miami’s Miami Carnival, Houston Carifest, London’s Notting Hill Carnival as well as New York City’s Labor Day Carnival, just to name a few.